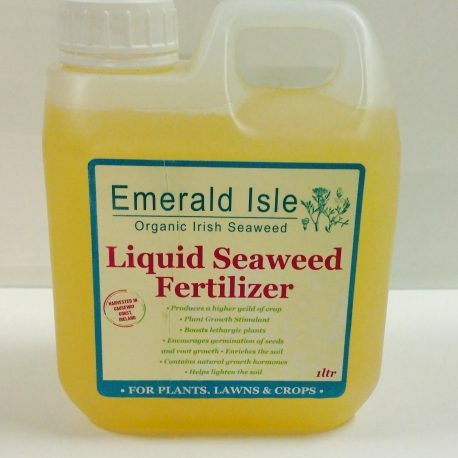 Organic kelp fertilizer can be applied to any type of soil or plant without concern for waste by-products or harmful chemicals, leading to healthier crop yields and general plant well being. 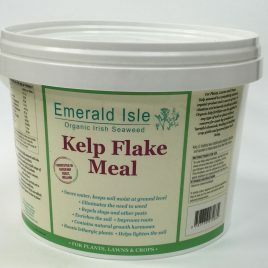 Kelp seaweed was traditionally used as a fertilizer and spread on these lands from the 18 th century. 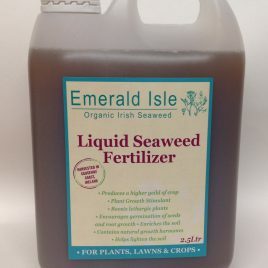 Kelp seaweed liquid helps to bind soil crumbs together and it contains all soil nutrients with a full range of trace elements and amino acids. Nutritional Values for 100 grams of product. Energy values. KCal/KJ per 100 g, 166/686 . Protein 13.7 Fatg/100 g, 0.2 . Saturated Fat g/100 g 0.2 . Mono-unsaturated Fat 0.1. Poly-unsaturated fat < 0.1 . Available carbohydrate, g/100 g 8.7 . Total Sugars g/100 g 3.6 . Dietary Fibre AOAC, g/100 g 36.8 . Sodium, mg/100 g 4899 . Moisture g/100 g 11.6 Ash g/100 g 28.9 . Our seaweed has undergone a full range of thorough tests which include chemical, pesticides, water content, and nutrition, all have be done in laboratory conditions and is UKAS accredited. 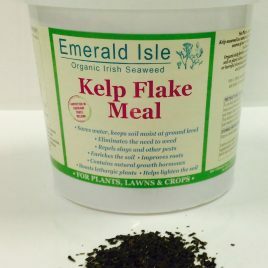 Emerald Isle Seaweed has a HACCP control system in place. Best used as a foliar spray on the plants leaves. 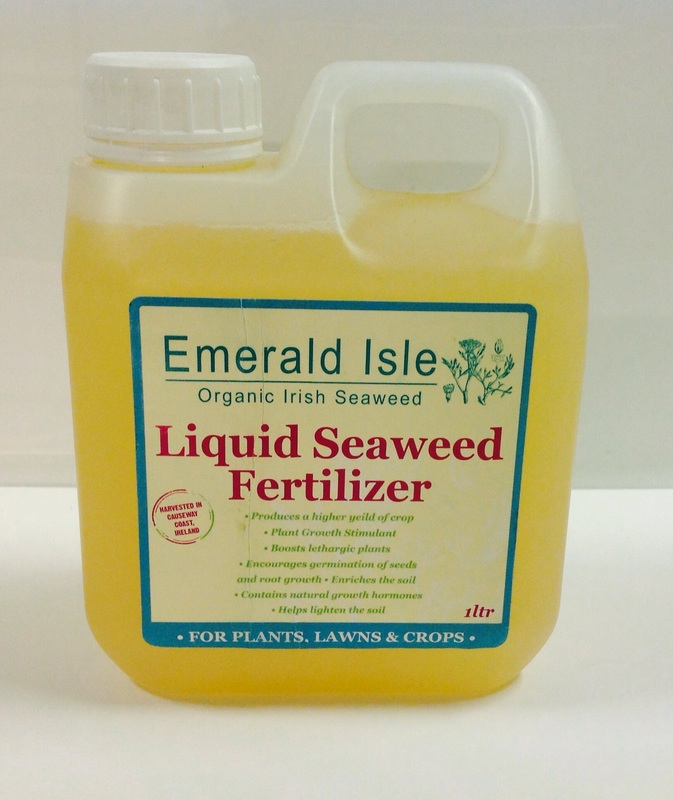 Have a look at Phil Nauta video on organic kelp fertilizer below. 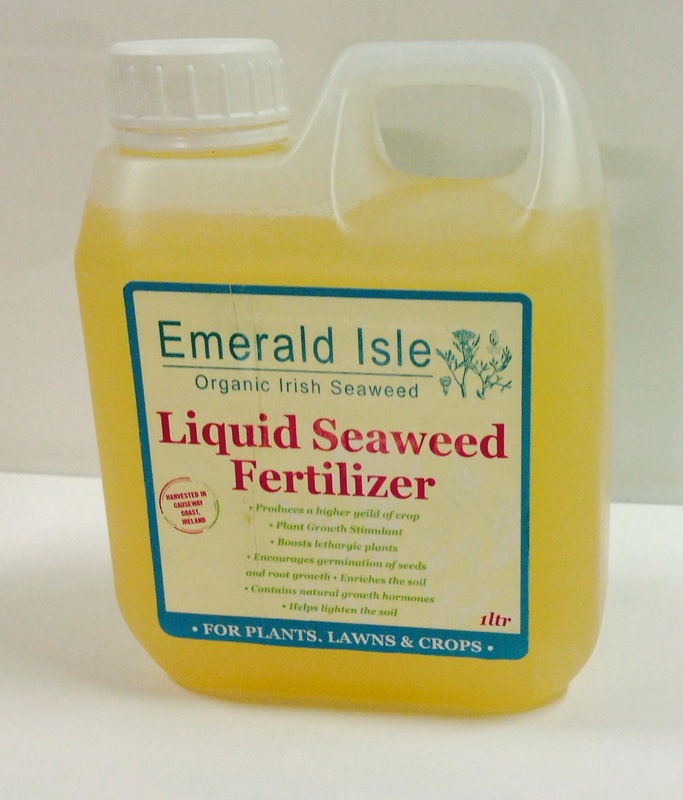 For more information on kelp seaweed liquid please see research on the link below.